Brooklyn, NY - Nearly three years after the horrifying murder of Menachem Stark, a fourth man has been charged in the case. 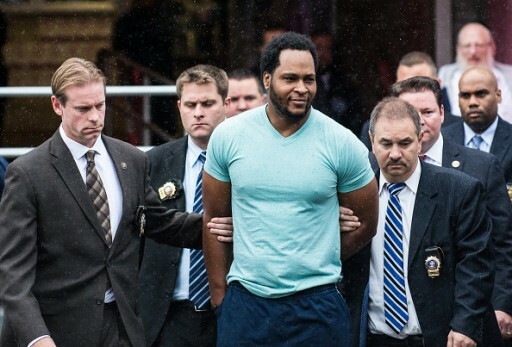 Police said that 35 year old Irvine Henry of Montgomery Street in Brooklyn was arrested this morning by officers in the NYPD’s 17th precinct and arrested for conspiracy, hindering prosecution and tampering with evidence. As previously reported on VIN News (http://bit.ly/2hrAEsu), Erskin Felix and Kendall Felix were arrested in connection with Stark’s murder in October. A fourth man, Kendal Felix was sentenced to 25 years to life in prison by a Crown Heights jury for his part in Stark’s death. A source close to the case who spoke to VIN News on the condition of anonymity not to hinder the investigation, said that police have had their eye on Henry from the earliest days of their investigation. Henry was part of a plan to kidnap Stark and hold him for ransom, said the source. “They were going to hold Stark in Henry’s basement but by the time they got to Henry’s house they saw that he was already dead,” said the source. “Henry didn’t have anything to do with the actual murder but as of two or three months ago they still had no hard proof against him in the kidnapping plot to present to a judge. All that changed several weeks ago when police finally found the evidence they needed to make a strong case against Henry, reported the source. Henry and Kendall Felix were arraigned today in Brooklyn Supreme Court and were variously charged with second and fourth degree conspiracy, tampering with physical evidence, attempted tampering with physical evidence and first degree hindering with prosecution. Both were ordered held without bail and will be back in court on February 8th. Acting Brooklyn District Attorney Eric Gonzalez praised prosecutors and the NYPD for their efforts in the case. “This indictment is the latest step in our journey toward justice for Menachem Stark, his seven children and the rest of the family his killers took him from,” said Gonzalez. Erskin Felix, who was in the construction trade and had done work for Stark, will be arraigned later this afternoon on charges of second degree murder and first and second degree kidnapping. If convicted on the top charges, all three face up to 25 years in prison. something doesn't add up, 3 years to get some evidence that they CLAIMED they knew from day 1? someone much higher is responsible. You fool how would they know the first day,are you that big of a shoite,investigations sometimes take decades until all the connection are tied.